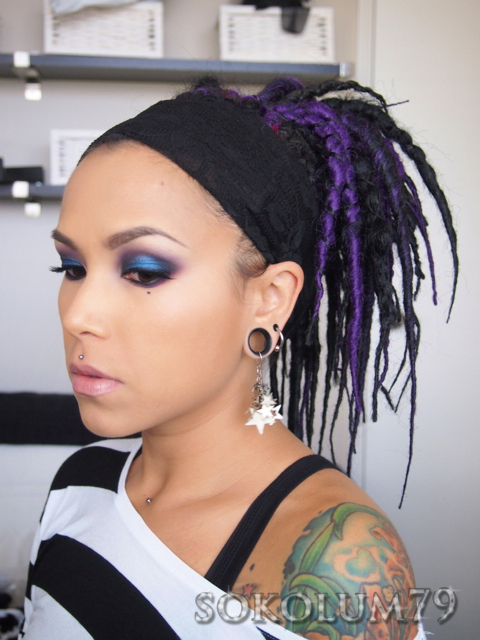 Sokolum: Synthetic Dreadlocks and IMATS LA! 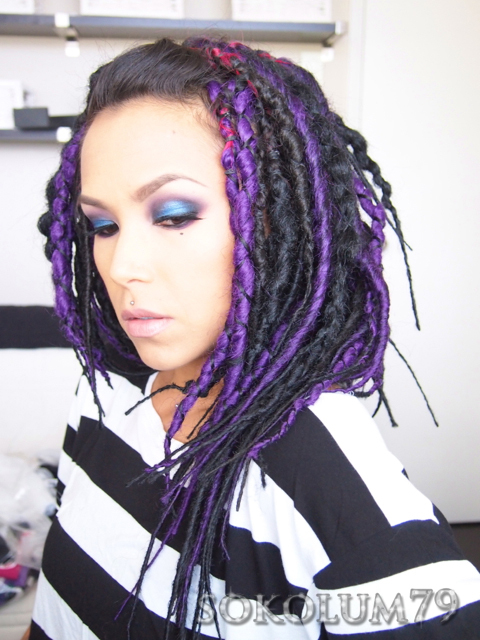 Synthetic Dreadlocks and IMATS LA! SO now onto the second part of my hair journey...LOL! I removed my extensions a few weeks ago and I had my revamped synthetic dreads braided in again! 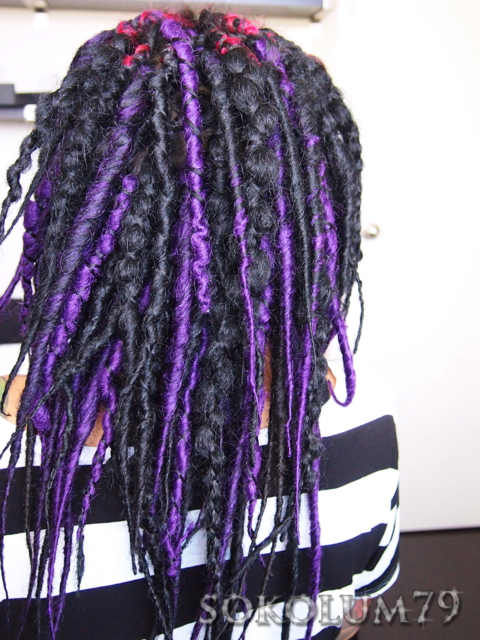 I revamped most of them by braiding a thinner piece around them, I made a few longer double ended ones, blended purple and black for others and made a few fluffy popcorn double ended dreads. I had Solah from Blessed Locks braid them in for me. I am not sure how many we installed, but it's a mix of doubles and singles. We had a good time watching So You Think You Can Dance episodes, listening to music and chatting. She had a great time composing the deliberate random combination of dreads. I almost forgot about how quick having synthetic dreads is! You don't need to spend a ton of time styling your hair and you only need to wash your scalp once a week or so (varies for each person). I came across this excellent tutorial on how to wash your scalp. You don't want to get your dreads wet because it takes hours and hours to dry so I can't wait to try this method out because I've always had a hard time not getting them wet when I washed my scalp. I used the various tutorials on YouTube to learn how to make my dreads a few years ago. Also Hair Extensions Forum is a fantastic resource with a wealth of knowledge for those interested in making and installing synthetic dreads.